Chronic Fatigue Syndrome (CFS), also known as Myalgic Encephalomyelitis (ME), is a chronic (long-lasting) condition that causes extreme fatigue and exhaustion. This complex and debilitating disorder often lasts for more than six months. The person feels very tired which affects the functioning of the body. It does not go with bed rest and worsens after physical activity, exercise or mental exertion. Patients have difficulty in performing even day-to-day normal activities. The fatigue cannot be explained by any other underlying medical or psychological condition. One needs to rule out any other disease or condition that presents with similar conditions before considering it to be Chronic Fatigue Syndrome. This makes it difficult to diagnose. The symptoms include fatigue, sore throat, loss of sleep, loss of memory, multiple muscular and joint pain, body ache, headache, enlarged lymph node of neck or armpits, exhaustion on doing physical work, palpitations and difficulty in thinking or concentrating. Anti-inflammatory drugs and painkillers can be given for muscular, joint pains and headache. Massage helps in relieving aches and stress. Several symptoms of Chronic Fatigue Syndrome can be reduced or treated with the use of coconut oil. Coconut oil is obtained from the dried, white flesh of coconut from coconut palm tree (cocos nucifera). Virgin coconut oil is the unrefined and pure version. It is full of saturated fats and medium chain triglycerides(MCTs). The saturated fatty acids present in coconut oil include lauric acid, palmitic acid, capric acid, caprylic acid, myristic acid, stearic acid, oleic acid, and linoleic acid. The major identifying symptoms of CFS include muscular and joint pain. Pain comes from inflammation of the area. Physical activity may cause fatigue and pain in any part of the body. Severe fatigue and disability in neuroimmune and autoimmune disorders result from inflammation and subsequent immune activation. This causes the release of other immune cells and mitochondrial damage. The mitochondria are responsible for the production of energy-rich molecules. On damage, mitochondria are not able to produce these molecules that result in loss of energy and fatigue. To overcome this, patients are given medications and painkillers, but they have side effects. The fatty acids in coconut oil such as lauric acid, palmitic acid, oleic acid, and linoleic acid show anti-inflammatory and analgesic action. This helps in relieving pain from body parts. Virgin coconut oil also shows anti-inflammatory activity. The muscle pain, joint pain and headache in Chronic Fatigue Syndrome can be treated with the analgesic and anti-inflammatory properties of coocnut oil. Viral infections are known to be a major causative factor of CFS. Fatty acids in coconut oil like lauric acid show anti-microbial activity. Lauric acid and monolaurins are anti-bacterial and anti-viral in nature. Monolaurin is known to be active against various viruses and inhibits binding of viruses to host cells. It disintegrates the viral envelope and prevents its replication. Fungal infection by Candida albicans causes infection in gastrointestinal tract which in turn is shown to cause Chronic fatigue syndrome. Coconut oil has fungicidal action against the fungus Candida albicans. The anti-microbial properties of coconut oil should be exploited more and more as the microbes are developing drug-resistance. Chronic Fatigue Syndrome that occurs due to viral and microbial infections can be prevented and treated with coconut oil as it has inhibiting action towards microbes. Chronic Fatigue Syndrome is caused by several psychological factors including stress. Long-term CFS can lead to anxiety and depression in patients. They are given psychological therapy and anti-depressants to counter it. Virgin coconut oil is rich in medium chain triglycerides (MCT’s), lauric acid and polyphenols. It can be used as a nutritive oil to counter the effects of stress and depression. Patients of depression are known to have high levels of inflammation causing-cytokines. As stated above, coconut oil has anti-inflammatory action and reduces levels of inflammation-causing substances and prevents stress and depression. People with CFS experience sleep problems. They have reduced sleep quality and unrefreshing sleep. Nutrients in the diet are directly related to the quality and duration of sleep. The lauric acid present in coconut oil is proven to improve the quality of sleep. Also, a diet rich in saturated fats (present in coconut oil) promotes subjective sleep. Scalp oil massage before sleep is induced sound sleep and prevents headaches. 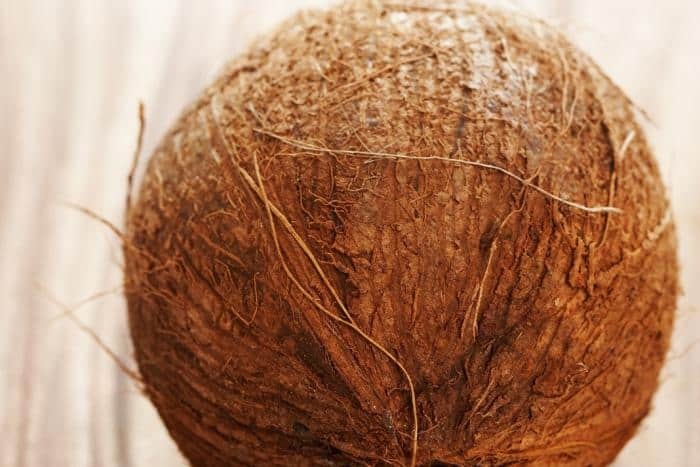 Coconut oil can be used to massage scalp before bedtime to counteract sleep problems. Including coconut oil in the diet ensures better sleep quality, while massaging it before bedtime stimulates sleep. Symptoms of CFS include memory loss and difficulty in thinking and concentrating. This suggests reduced brain function. Virgin coconut oil contains antioxidants like polyphenols which prevent neural damage that can result due to oxidative stress. Medium-chain Triglycerides (MCT’s) in coconut oil improve cognitive functioning. The fats in coconut oil stimulate functioning of brain cells and improve memory loss, thinking and concentrating skills. Coconut oil can be used as an alternative treatment for CFS, but should be used as a supplement and not in place of other prescribed medicines. However, its use should be informed to the doctor, should it interfere with any previous medications. Although it is totally safe and anti-allergic, when topically applying coconut oil, it is better to perform a patch test on a small area to check for possible allergic reactions, if any. Always use the pure, organic and natural products free from additives and preservatives. Virgin coconut oil is better to use as it is supposed to be unrefined and free from chemical treatments. When including coconut oil in the diet, moderate use is preferred, as lots of saturated fats may cause disrupted lipid profile. Pregnant and breastfeeding women, and people with other health conditions should seek medical advice before its use. Coconut oil helps in relieving several symptoms of Chronic Fatigue Syndrome. Its anti-inflammatory and analgesic nature helps in combating the muscular and joint pain and headaches. As it is anti-microbial, it can prevent CFS by inhibiting the viruses or fungus that are known to cause CFS. The fats in coconut oil improve memory loss and cognition. It is also beneficial in sleep promotion and is anti-stress and anti-depressant. It is also not known to cause many allergies and is perfectly safe to use. It is a versatile and effective product that can be applied topically or including in the diet. More research is required to study its direct effect on CFS. Including the organic and pure varieties of coconut oil in the diet will result in multiple benefits and improve health of people with Chronic Fatigue Syndrome. How to Store Aloe Vera Juice?